People let rooms in their properties for any number of reasons, but no matter what your motivation, letting a room in your property must be a decision that you take seriously. Of course the extra money is always helpful, but bringing someone else into your home can create circumstances you’ve never even considered. Selecting your lodger carefully and strictly following all landlord guidelines will help maximise the benefits and minimise the headaches. Interview all prospective lodgers, and trust your gut instincts. Request references, both written and with contact details, from previous landlords. Draw up a written lease or rental agreement to be witnessed and signed by both you and your future lodger. 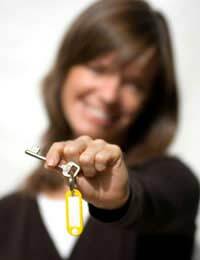 Checking with a mortgage provider or local council to see if your require permission to let a room in your property. Keeping your lodger’s rooms up to all health and safety standards. Reporting your lodger’s rent as income in all of your tax returns – which may work out in your favour if the rent remains below certain standards and therefore remains tax free. Paying your lodger’s deposit into a separate and safe account in order for it to be on hand whenever needed. Extra income, particularly enough to allow you to move up the property ladder. Companionship, especially for those who would otherwise live alone. Added security, for example at night or while the property owner travels. An extra pair of hands to help with babysitting, repairs, etc. Meals and chores that are, and are not, included in the rent. Household equipment that is, and is not, acceptable for lodgers’ use. Areas/rooms of the house that are off limits to lodgers. Quiet hours for television, music, etc. The number and type of guests acceptable to bring to the house. Contributions to utilities, telephone and Internet bills, etc. Letting a room in your property can be a minefield, but with the expert advice of solicitors, estate agents and accountants most of the complexities can be unsnarled rather quickly. Choosing an appropriate lodger and devising your own household rules will help minimise the day to day headaches of living with a lodger, leaving you free to enjoy the extra income, extra company and extra pair of hands.